Note: For this and future reviews, I will be referring to characters primarily by their Japanese names. If a character’s name is different in the Japanese and English dubs, I will note their English name in parenthesis. If you’ve heard anyone say anything about the Pokemon films, chances are they’ve talked about this film. Pokemon: The First Movie – Mewtwo Strikes Back, known as「ミュウツーの逆襲」 (lit. “The Counterattack of Mewtwo”, officially Mewtwo Strikes Back!) to the Japanese audience, was first released in Japanese theaters on July 18, 1998, coming to the United States cinema a little less than a year and a half later on November 12, 1999. Mewtwo Strikes Back (hereby referred to as Mewtwo) tells the origin story of the Pokemon named Mewtwo, one of the most famous and powerful Pokemon in the entire franchise. Mewtwo is a genetically altered clone of Mew, a powerful but extremely rare Pokemon that fights using psychokinetic abilities said to have gone extent. 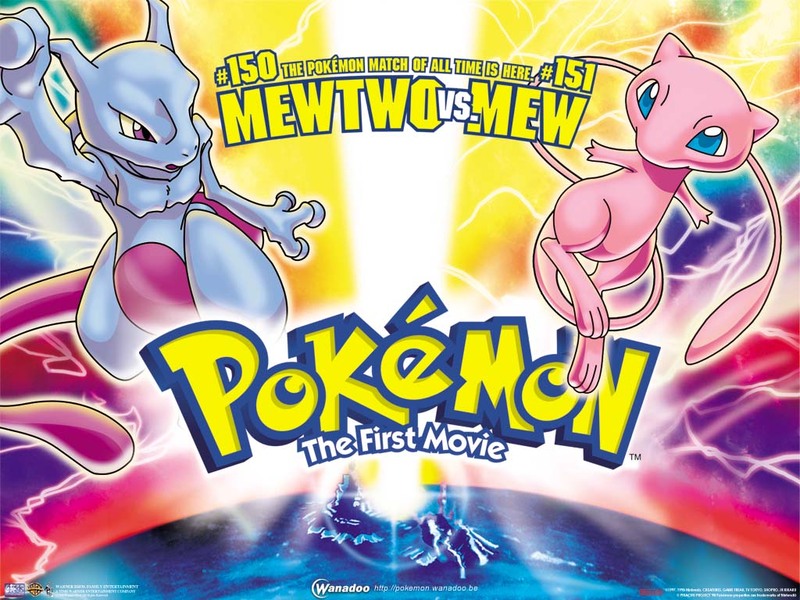 The film covers Mewtwo’s creation, how Mewtwo came to despise mankind, the battle between Mewtwo and Mew, and how Mewtwo’s heart was finally softened by the sacrificial actions of Satoshi (English: Ash Ketchum) who risked his life to stop the fight between Mewtwo and Mew for the good of all Pokemon. As the first Pokemon movie, Mewtwo set a high bar for all successive Pokemon films. Mewtwo is widely regarded as the best Pokemon film of the entire lot. Critics often consider this level of reverence a byproduct of nostalgia or the film’s position as the first in a series. However, after my recent nostalgia-free rewatch, I can safely say that the movie holds up strong, something that I unfortunately cannot say for some later entries. Mewtwo has a many things going for it. It has a coherent, self-contained plot that requires little external knowledge to understand. For an animated film created during the days when hand-drawn cels were still the industry standard, the quality of the animation is incredibly high and a notable step up from the televised anime. There were an intense number of well-rendered action scenes featuring Pokemon fighting one another. Most surprising of all, Mewtwo covers many controversial topics that are sophisticated for a children’s movie. The movie’s central moral issue is the ethics of cloning and genetic modification. This theme illuminates most major plot points, from the creation of Mewtwo himself to his army of strengthened cloned Pokemon. Mewtwo is also the first and only instance in the Pokemon animated series where a human character dies. Satoshi (Ash) is killed in the crossfire of Mewtwo and Mew’s fight. This kind of darkness and moral ambiguity are seen very rarely among future Pokemon films, making Mewtwo a unique and memorable entry in the series. If I were to suggest a single Pokemon film to stand representative of the movie series at its best, I would pick Mewtwo, no question. It is arguably the best movie to watch standalone due to how little knowledge one needs of the Pokemon universe, it has a great amount of action scenes, and for a children’s movie, and it is quite enjoyable for adults too thanks to the underlying complexity of its themes. Whether or not this movie evokes any nostalgia in you, I highly encourage you to seek out and watch Mewtwo. I’d even go as far as to say it is a must-watch Pokemon movie.